A New York jury has found Hengjun Chao, a former research assistant professor at Mount Sinai, guilty of attempted second degree murder and two other charges. Last year, Chao shot Dennis Charney, a Mount Sinai dean who had fired him in 2010 for misconduct, outside of a deli in a wealthy New York suburb. After the incident, Chao admitted to police he shot Charney. During the trial, Chao’s lawyer argued that Chao had done so to draw attention to what he believed to be misconduct at Mount Sinai. 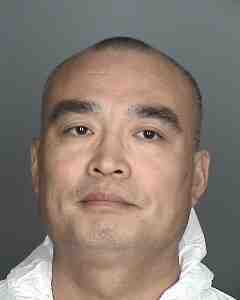 As reported by the Chappaqua Patch, in addition to one count of attempted second degree murder, Chao was convicted of one count of criminal use of a firearm and one count of assault. He faces a maximum of 25 years in state prison. I, along with my client, am extremely disappointed in the verdict and I believe there are extremely strong grounds for an appeal in this case. According to a statement issued yesterday by Westchester County District Attorney Anthony Scarpino, surveillance video footage showed Chao had been stalking Charney for several days before the shooting. Subsequent to his arrest, the defendant stated to police that he was the one who shot the victim. Six years prior, in 2010, Charney had fired Chao for committing research misconduct. The investigation report said Chao directed a postdoc to manipulate data and “promoted a laboratory culture and authoritarianism.” However, the Office of Research Integrity decided not to pursue the case against Chao. [Chao] fired a shotgun at Charney for the publicity so he could shed light on the “large-scale fraud” that he uncovered at Icahn School of Medicine at Mount Sinai in New York City, where Charney is dean. Chao, 50, is being held in jail and will be sentenced Aug. 16. File under “Researchers retracted from society”? Attempted second degree murder seems a light conviction for someone who had been videoed stalking his victim for several days. What made ORI decide not to pursue H. Chao ? Is it because there’s not much to legitimately go after him ? If ORI decided not to pursue your case, what other resources do you have ? What made ORI decide not to pursue H. Chao ? He was fired, he was out of academia, why would they waste their resources? Not that it would in any way excuse attempted murder, but it would interesting to know if Chao’s allegations of academic fraud are true. Neuroskeptic, I have a lot of respect for your thinking and work, but I think there might be a fallacy in your logic. The consequences of shooting someone is criminal conviction and incarceration. This outcome reflects both justice and societal disapproval of violence against one of its members. However, Chao’s conviction for attempted murder does not and should not automatically nullify whatever he alleges (which might or might not have been what pushed him over the edge). In other words, Chao’s allegations are not a valid excuse for what he did, but this does not mean his allegations about research misconduct should be dismissed out of hand. Shooting an alleged messenger (even if he is mistaken), and using his reaction of outrage at being shot as a reason to reject his message is known as gas-lighting or “throwing the baby out with the bath water”. It is an example of the fallacy of Ignoratio elenchi. I am aware of many examples where workplace bullying has led to loss of health, career, and/or suicide (https://www.timeshighereducation.com/news/imperial-college-london-to-review-procedures-after-death-of-academic/2017188.article), and there is substantial evidence that reporting suspected misconduct incurs severe bullying reprisals (e.g., http://theconversation.com/troublemakers-and-traitors-its-no-fun-being-a-whistleblower-50755). In general, prolonged behavior which disavows an individual’s sense of value (which is what bullying is) can predictably push the individual to the point of mental breakdown, suicide and even homicide, as sometimes occurs with battered partner syndrome, for example. Without specific reference to the Chao case, I would argue that workplace behaviors which might have contributed to pushing someone over the edge should never be used to create a get-out-of-jail-free card for automatic rejection of whatever the target reported. Quite the reverse: the more organizations can transparently, respectfully and honestly investigate allegations made by alleged whistleblowers, the fewer adverse individual and societal incidents there will be. On a different note, there are major problems already published regarding the research into Paxil (http://www.bmj.com/content/351/bmj.h4320), so that’s another reason to investigate Chao’s allegations IMO. FSM only knows how the guy got the impression that the way to publicise one’s grievances is to shoot someone, whereupon the court and the press will give you a pulpit to recite your entire manifesto. But it’s hard to imagine that “I wanted the publicity” is really a mitigating or exculpating defense for attempted murder. I imagine the lawyer rolling his eyes while presenting this argument. Why did Dr Chao feel the need to shoot anyone? If he has no history of violence, was he placed in such a desperate situation that he thought this was his only action left? Regarding the drug in question – Did Dr Chao look closer into the research when “in house” and they wanted him out when he found something? This is pertinent for Retraction Watch to keep an eye on. You are starting from the assumption that if some person stalked and then blasted some other person with a shotgun, he must have had a legitimate reason for doing so, placing us in the position of working out what that reason might have been. I suggest that this is a fruitless and misguided line of enquiry. I most certainly do not condone shooting anyone. However, it is clear the Dr concerned did have a what he believed was a reason to shoot the Dean from his experience – I would suggest you read the links above. Not sure if this is relevant. Chao was sacked for bullying his underlings. He has not accused anyone else of bullying him. After his dismissal he decided that everyone else was equally corrupt and it was unfair that he had been singled out. Was he fired for alleged research misconduct or alleged bullying of “underlings”? Meanwhile, there is a drug on the market that does not function as prescribed. Is this the root of the problem at MS? Postdocs being asked to omit certain data and having a PI with final say in the lab are VERY common. I fear there is alot more to this than that report alleges. It is not a legal document but the outcome of an internal, and perhaps biased, “investigation” of employees who have probably known each other for years. It is hearsay at best. The what? Of course it was a “legal document”. All the evidence documenting that “hearsay” is available. Have you read the report? Chao ordered Cohn to alter results. He ordered her to fabricate results. He sent e-mails documenting those orders. Is that really your experience of laboratories? This bad-movie-script theory requires the collusion of a great number of people from the Mt Sinai administrative hierarchy (could they all have been aware of the drug’s problems, and party to the conspiracy to Conceal the Truth? ), and the manufacture of the damning evidence against Chao (none of which he challenged). It also requires Chao to have been working in some field related to Paxil, when he wasn’t. Shooting an alleged messenger (even if he is mistaken), and using his reaction of outrage at being shot as a reason to reject his message is known as gas-lighting or “throwing the baby out with the bath water”. “Shooting the messenger” is an unfortunate choice of words here. And I think you misunderstand the trope known as ‘gas-lighting’. I didn’t use the term ‘gas-lighting’ as a trope. I used it as a phenomenon. The phenomenon of gas-lighting seeks to sow seeds of doubt in individuals so that they (and others) question their perceptions of reality. Corporate examples of the phenomenon of gas-lighting include willful blindness, deliberate ignorance and stonewalling. For example, saying one thing (such as “we take allegations of misconduct very seriously”), while simultaneously stonewalling investigations of alleged misconduct provokes confusion and anger in the individual who made the allegations in good faith. As the individual becomes more confused and strident in his/her demands for the expected investigation, the stonewalling institution/officer can point to the “obsessed” behavior of the target as “proof” that the individual is a disgruntled/crazy person and his/her allegations can be ignored. My point was that alleging research fraud and shooting someone are two different events. Therefore, a researcher should not be automatically cleared of research misconduct allegations because he was shot. Research misconduct allegations should be thoroughly investigated. If the allegations are false and/or delusional, a thorough investigation will identify this. This whole situation is a tragedy. Reading the MS document, it is clear he did challenge, but was ignored and judged by non-judges.